This review originally ran in the Friday, January 10th, 2014 issue of Shelf Awareness for Readers. If you don't already subscribe, sign up here for a bi-weekly dose of bookish goodness in your inbox. "Anxiety and its associated disorders represent the most common form of officially classified mental illness in the United States today," says Atlantic editor Scott Stossel. But what, exactly, is anxiety disorder? In My Age of Anxiety, Stossel delves into the history of the disease, from the first references to anxiousness and nerves to the current state of anxiety disorders and the pharmaceutical world that has sprung up around them. Because psychology is an ever-evolving field of study with hotly contested schools of thought, Stossel faces controversial issues: Is anxiety genetic or caused by upbringing? Should we medicate the condition, or is talk therapy a surer route to a stable life? In each instance, Stossel draws heavily on his own experience with anxiety--and with his own psychiatric teams--to offer his opinion, but never dismisses any other school of thought, giving readers enough details to form their own opinions about anxiety and its causes, treatments and cures. 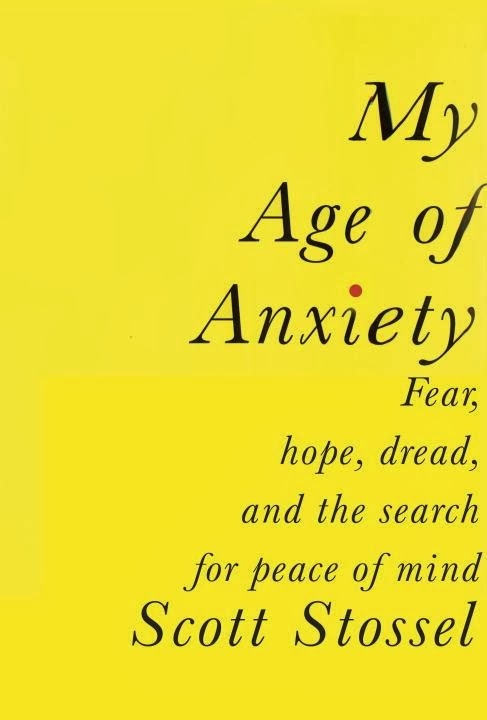 Peppered with stories from Stossel's personal battle with anxiety, as well as those of his family members, My Age of Anxiety is one part memoir and one part medical history. The two narratives combine almost seamlessly to present a fascinating glimpse into the generalized and acute anxiety disorders that seem to plague our modern world. Tournament of Books Contenders Announced!